The exclusive trailer for 'Captain Marvel' is unveiled. 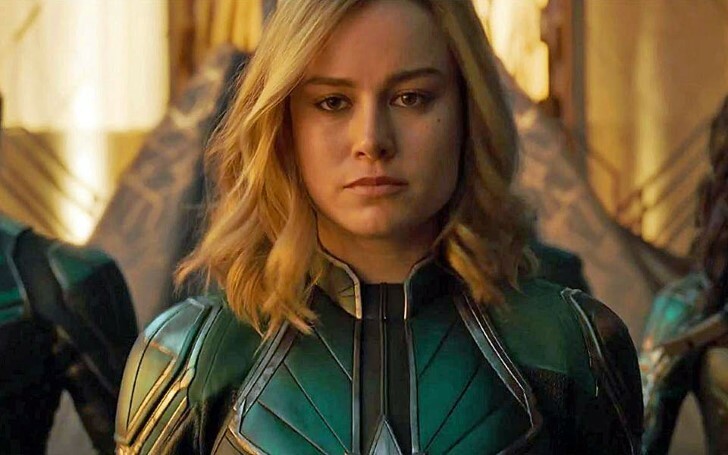 Shortly, after releasing new trio poster for Captain Marvel, Marvel Studios debuted a new trailer for the upcoming superhero movie. As promised by Disney, a brand-new trailer for Marvel Studios' next blockbuster, Captain Marvel was aired during College Football National Championship game on ESPN. The new trailer brought back one of Marvel’s most beloved characters within the Marvel Cinematic Universe, Agent Coulson. Further, it also provides the first outlook at the shape-shifting Skrulls, solving the mystery of the old woman from the initial trailers. In the 90 seconds long trailer, Captain Marvel is seen assuring a younger Nick Fury, she isn't Skrull by firing a proton blast which according to Denver Skrulls can't do. The clip also provides a small glimpse of Jude Law training Denver, though his character identity is yet to be confirmed. The film is set in the 1990s and exploring the powerful hero’s adventures which eventually led Nick Fury to ask for her assistance decades later before turning into dust in Avengers: Infinity War's post scene. With earthbound adventures and cosmic realm based powers, Captain Marvel is presumed to rescue Tony Stark in Avengers: Endgame who is apparently stuck in a dire situation without food and limited oxygen supply. The movie stars Oscar award winner Brie Larson (Carol Denver), Samuel L. Jackson (Nick Fury), Ben Mendelsohn, Djimon Hounsou, Lee Pace, Lashana Lynch, Gemma Chan, Rune Temte, Algenis Perez Soto, Mckenna Grace, Annette Bening, Clark Gregg, and Jude Law. Marvel's first female superhero movie, Captain Marvel is due to hit the big screens on 8th March 2019.